"To Touch, To Hold, to Keep... 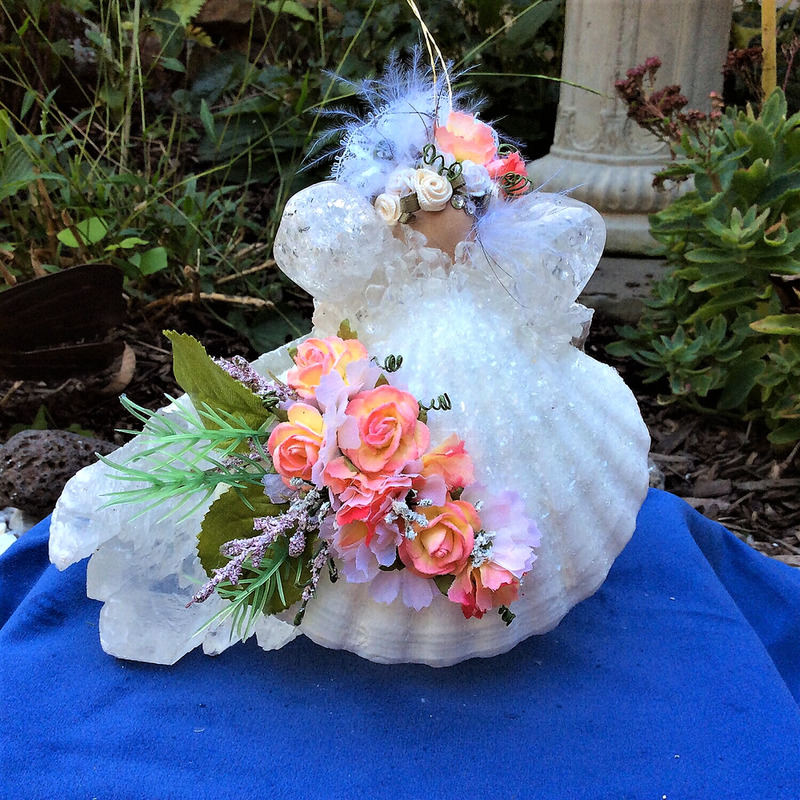 Forever Keepsake Designs"
Earth Wish Angels designs are individually handcrafted pieces specifically created for your special event or occasion. Inspired by nature, Earth Wish Angels Keepsake designs are created with shells, crystals, gemstones, and other precious gifts from the earth. Earth Wish Angels designs are now available online for all to enjoy. Custom designs are also available by messaging the artist on the bottom of the home page under CONTACT. Earth Wish Angels also carries unique line of handcrafted fine jewelry for gift giving; designed with semi-precious gemstones, Swarovski crystals, along with pewter and silver charm accents. Featured designs available are semi-precious gemstone bracelets, birthday gemstone/charm theme necklaces, wire wrapped pendants, along with handcrafted pearl and crystal wedding jewelry. All Earth Wish Angels gifts come with hand written poetry specifically written for each special occasion by the artist, along with lovely personalized packaging; including the Earth Wish Angels legend that was once told and inspired by her father.